PRESIDENT Lungu says he will soon propose to Cabinet to endorse nationwide prayers and fasting for Zambia’s 51st independence anniversary on October 24. Mr Lungu said the prayers and fasting are aimed at fostering peace and love in the nation in view of the political tension that has characterised some by-elections. The President said this here yesterday when he addressed congregants at Kisasa Evangelical Church where he attended a church service. “There is room for love, decency and sobriety in politics. Do not allow yourself to go into violence. Let us carry Christ in our hearts and show his love outside. Let’s not leave his love in church. “If we carry Christ everywhere, we will have tolerance and peace everywhere regardless of our political affiliation and ethnicity,” Mr Lungu said. He said there is need for people to spend more time with the Lord as “God’s time is the best”. The President said he is happy to interact with the people of North-Western Province. He underscored the need for unity under his leadership. “This is why I came with a message of unity after being elected as President because the country was polarised and that is why I visited areas where I was not elected to embrace everyone so let us remain focused and united. 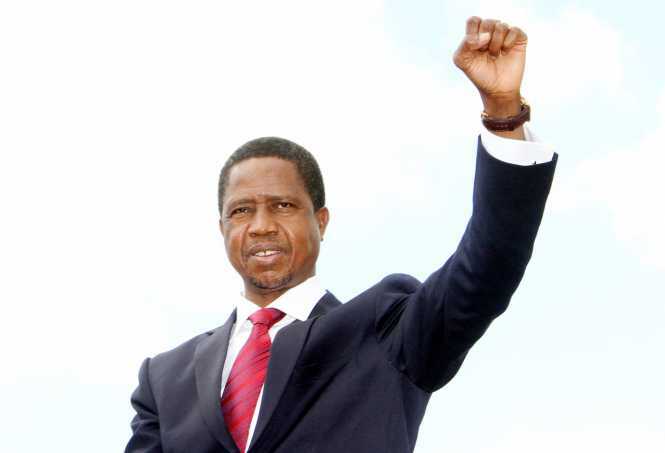 “I pray for a time when Zambia will truly be a Christian nation by uniting and loving one another,” Mr Lungu said. He also called for a stop to “bickering” and focus development. And President Lungu said he intends to meet First Quantum Minerals (FQM) management at Kalumbila mines to strategise how the newly created Kalumbila district administration will be housed. “This will happen from this year and we will have a fully-fledged administration in due course,” Mr Lungu said. We don’t want deception Sir. Don’t accuse the devil for damaging the economy or lack of unity in the country. Its normal even in our homes when the head of the house fails to provide or solve problems affecting the family,there is no peace & unity. The cure for that is never fasting but providing solutions or addressing the family on the cause of the problem and the way forward to handle the problem. But that you have failed Sir. You have made Zambia fast without prayer,a situation we call starvation whilst you’re enjoying food and beer bought by starving Zambians through high tax rates. Even the devil cried that moment he heard you accusing him of your irresponsibility. As Zambians,we are never with you in that because you want to starve us more because we know that God will not answer our prayer because these problems are out of irresponsibility. Just sit and enjoy your beer, we have our own time to sort you out. We are fasting sir, no water, no power, kwacha down, water levels at Kariba North Bank down,,, ooooo we are more than fasting. this call to fast is from a Person who will be eating and drinking during fasting #shut such a deceitful mouth up!!! Yesterday I Ate Nothing, No Power, Charcoal Is Expensive, Bread, No Money In Our Pockets. Is This Not Fasting Aini Mwebantu? Tame your cadres first and never play double standards and hide-and-seek; God is never mocked! Amen. We should pray that the enemies (masons, secret societies & satanists) prevail not. h has sein dat bread is K10 nd thn h says lets fast! ! ! ! we are already fasting; no money in pockets,no power in power our homes and the free fall of kwacha.one more thing how do you fast when are drunk iwe lungu! nobody can be at peace in this Economy.whetha u fast to death,insala yena ninkondo iwe Jameson.jst get to work nd stop making judgments no bwalwa mumutwe. Ba Mary, the only reason why someone may not agree with the presidents calls is because of their hate for him, otherwise I don’t see why those even quoting bible verses should think it is wrong to fast. And please take time to watch BBC and other world news channels on the state of the globe right now, its not just zambia needing prayers. @Mary, you see what I mean!!! Those who have drunk with the prez and know his hearts desires already know that he won’t manage!!! So we should all not fast because Edgar will be drinking. Hahahahahahahaha Real funny. Arise all you who call upon the name of the lord and stand in the gap, and all the giants will fall. Are we not fasting already?